Our AW17 collection of jewellery has officially landed. The theme for this season was conceived on holiday, whilst star gazing into the twinkly Provençal skies of southern France. 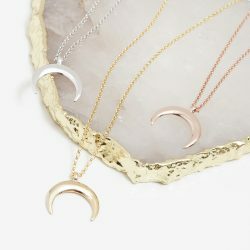 The stellar collection includes crescent moon and star necklaces that can be worn individually or layered with our new bead chains for a delicate minimalist look. 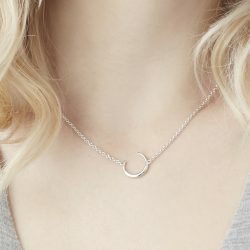 The Crescent Moon is known as a symbol of female power, intuition and influence. 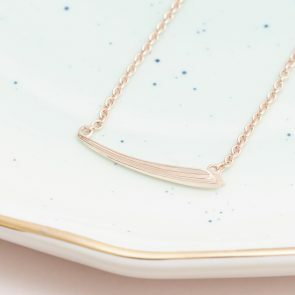 We have introduced a minimalist and versatile drop crescent moon to our latest collection. The symmetry of this design makes it perfect for creating a layered look. The Star is the symbol of hope, encouraging you to be the shining light in the dark to those close to you. This Talisman is perfect for gifting or a symbol to remind yourself to always shine bright. 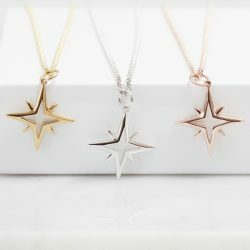 Our latest designs include a tiny star necklace along with an open star necklace for a statement piece. 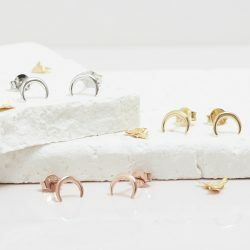 We have also designed a delicate bracelet and a unique pair of star hook earrings to match. Inspired by the connection between us and the universe, the silver karma necklace has a strong astral feel. The Karma entwined strands are symbolic of unity and balanced living. Connecting you to your past, present and future. 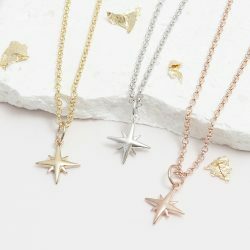 Our unique shooting star necklace is the Talisman for wishes. Seeing a shooting star means that you must make a wish, it represents luck and good fortune in achieving your dreams. 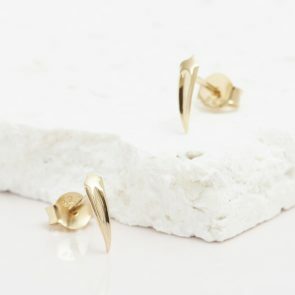 This subtle design comes in both a necklace and stud earrings, keeping you lucky where ever you go! 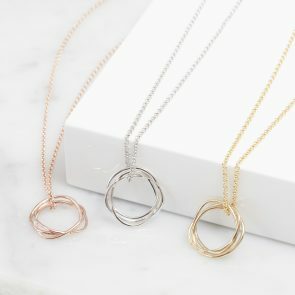 Don’t forget… each piece of Muru Jewellery comes complete with luxury gift packaging wrapped in ribbon and a Talisman card which will tell you the meaning behind each design!